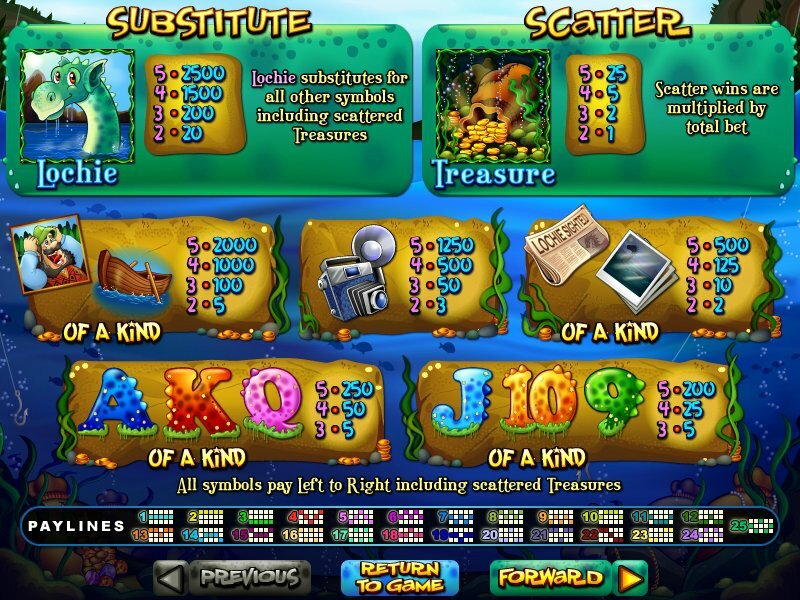 Overview: Peer into the murky waters of the Loch Ness and find a hidden trove of treasure waiting to be discovered in Loch Ness Loot, the new 25-line slot game from Real Time Gaming. Trigger the feature and win 8 free games with prizes doubled. 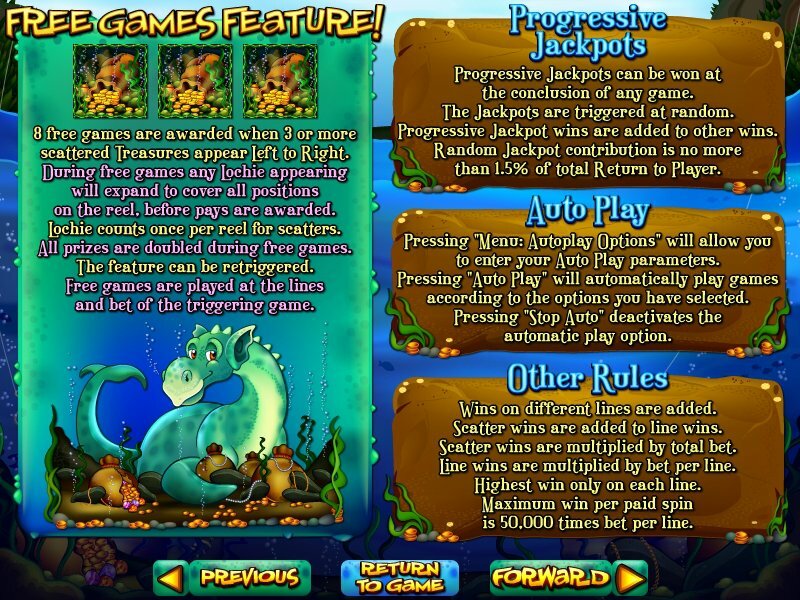 Any Loch Ness monster substitutes that appear during free games will expand to cover the reels! 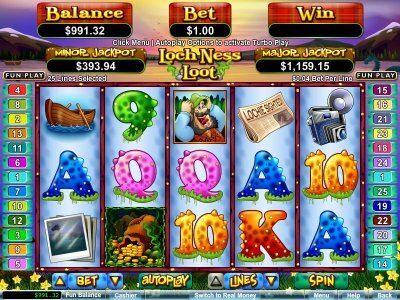 Loch Ness Loot also offers the unique Win-Win feature, which ensures that even the smallest feature win will be transformed into a prize worthy of capturing on film! Online Play: This slot machine is featured at online casinos that run Realtime Gaming software. 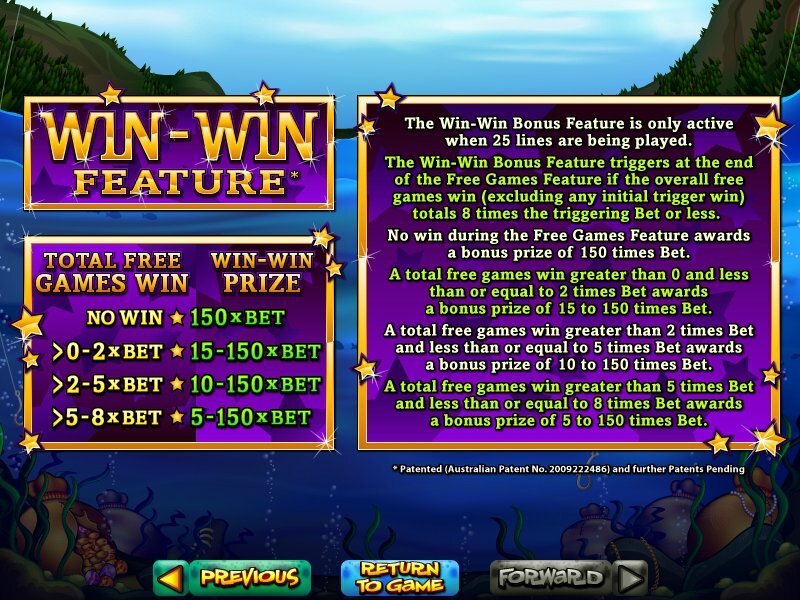 You can try it risk-free by utilizing the free, no-deposit welcome bonuses that are offered at many Realtime Gaming sites; if you decide to play for real, then be sure to play at a Realtime Gaming casino that offers an initial deposit bonus of at least 100%. Similar Slots: If you like Loch Ness Loot, you might like these other slot machines from RTG: Diamond Dozen, Mister Money, Paradise Dreams, Paris Beauty, Rudolph's Revenge, Santastic!.